The more than 1000 years old residence Meissen is situated at the Elbe river about 25 km northwest of Dresden. The townscape is dominated by the gorgeous ensemble of the Albrechtsburg and the adjacent cathedral on the castle hill, which presents a picturesque sight, especially when approaching from the river side. This charming city is known, above all, for the manufacture of the famous Meissen porcelain,, the cradle of which was the Albrechtsburg., where it was produced for more than 150 years, before the manufacture moved to its new home in downtown. 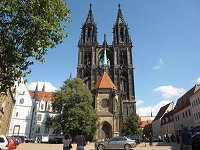 The city of Meissen hosts a multitude of further cultural-historical treasures and tourist attractions, such as the Church of our Ladies, the old town hall and other well preserved historic buildings. Beyond that visitors can enjoy enchanting ancient taverns and restaurants, which give the city an additional charm. From the castle hill one can enjoy spectacular views over the city and the river plains. The city's history began, when king Heinrich I in 929 founded the fortress „Misnia“ on the castle hill high above the Elbe river, named after a nearby creek. 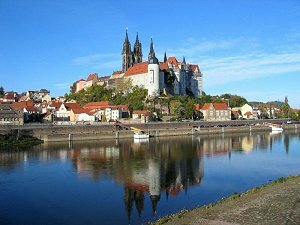 From 968 on Meissen became the see of the newly created Bishopric of Meissen as well as the residence of the Margraves of Meissen, afterwards mainly from the House of Wettin. The former market settlement at the foot of the fortress soon developed into a town (town charter 1332), eventually becoming one of the most important cities in the country and the cradle of Saxony. style and is considered to be the first construction of a castle in German history. The construction of the adjacent Gothic cathedral was started in 1260. In 1425 the Prince's Chapel was added as the burial place of the House of Wettin. The twin steeples however were not attached until 1909. In 1581 the Meissen diocese was dissolved during the Protestant Reformation. Since 1979 the cathedral has belonged to the diocese Dresden-Meißen. Both, the Albrechtsburg as well as the cathedral, have been elaborately restored and amaze the visitor by their magnificence and grandeur. The Albrechtsburg is now a museum, presenting itself in royal splendour and providing the perfect frame for the exhibited masterpieces of Meissen porcelain. In 1710 King Augustust the Strong established the first European porcelain manufactory at Castle Albrechtsburg, after the mathematician und physicist Ehrenfried Walther Graf von Tschirnhaus and the alchemist Johann Friedrich Boettger in 1708 had succeeded in manufacturing the first white European porcelain . 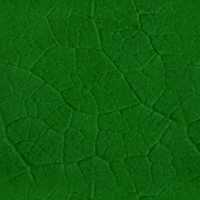 The invention of the "White Gold" was of great significance, in particular with regard to the Chinese monopoly in this market. Meissen porcelain was produced at the Albrechtsburg for 153 years until the manufacture in 1863 moved to its present location at the Talstrasse in the very heart of the city. The exhibition hall presents a superb reflection on more than 300 years of porcelain manufactured by hand, including the porcelain made for Catherine the Great of Russia, the famous 3,5 m high (11,5 ft) centrepiece for the dining table of King Augustus III, as well as contemporary porcelain art. Most interesting are also the demonstration workshops, where one can watch, how Meissen porcelain is designed and manufactured by hand, still today. Its signature logo, the crossed swords, was introduced in 1720 to protect its production; it is one of the oldest trademarks in existence.